Do your upfront planning homework, hire the right home remodeling contractor(s), and pull the necessary building permits. Time and again I receive emails from very upset homeowners who have experienced major home remodeling nightmares most commonly due to hiring the wrong general contractor or subcontractors. Home remodeling nightmares are also not limited to major construction projects. For example, I recently received an email from a woman who hired a “handyman” to re-install the electrical outlets in a kitchen backsplash project. The tile contractor who installed the kitchen backsplash said he doesn’t do electrical work, so the woman had to hire a handyman to reinstall the electrical outlets after the backsplash was installed. None of the electricians she called wanted to take on the project since it was so minor. Unfortunately for this poor woman the handyman chose to not use electrical outlet extenders to properly reinstall the electrical outlets. Instead he simply faked the effort by attaching the electrical cover plates to the outlets and effectively letting the electrical outlet float in space behind the cover plates. When the woman went to plug in her appliances the plastic cover plates broke and the electrical outlets themselves pushed back into the wall. Before jumping into a home remodeling project it is imperative that you do all of your homework upfront. This includes writing down the purpose(s) of the home remodeling project. For example, you’re building a new room addition because you need a family room and want more living space. In addition, you want to write down your budget and determine how much you expect to pay in cash and how much you plan to finance. Once you have a rough idea on the scope and budget of the home remodeling project next comes generating detailed building plans and getting material cost estimates. I highly advise you be as detailed as possible with both your building plans and your cost estimates. You’ll need the detailed plans for pulling building permits and you’ll need to have precise building costs for getting a loan. Even if you don’t get a loan it is very important to understand the costs of the materials you plan to use in your project. Often the eyes are bigger than the wallet when it comes to building material choices so it’s a wise idea to have reality check early on in the planning stage of your home addition or home remodeling project. Again, this is one of the critical steps in avoiding a home remodeling nightmare. 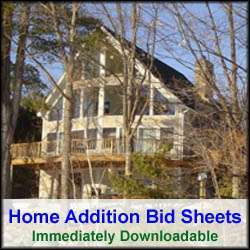 With solid building plans in place you can now submit your home remodeling project out for bids. This process involves interviewing home remodeling contractors and getting quotes from them. 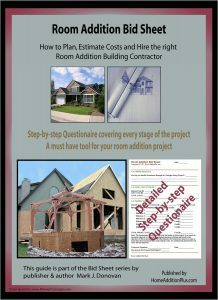 Again, the more detailed bids you are given, the more likely the contractor knows what he/she is talking about, and the less likely you’ll have a nightmarish home remodeling project. This said, getting a detailed bid is not a good enough reason by itself for hiring the contractor. It is imperative to interview the contractor and go over the quote in detail with him/her. You need to realize you’re hiring this contractor as your employee, and not the other way around. It’s critical that you feel comfortable having the contractor work for you. As part of the interview process ask the contractor for applicable licenses and insurances. Make sure to follow up with the state and insurance company to ensure that the contractor is still licensed in the state and that his/her insurance coverage is paid up to date. Also make sure to check references. I can’t reiterate enough the importance of checking references. Make sure to check at least 3 to 4 references and ask the references would you hire the contractor back for another project. Finally, add and/or compare the contractor’s bid to your project material costs or your estimates of the project to see if they are in line with your expectations. If not, see if you can reconcile the differences with the contractor. To avoid a major home remodeling nightmare, prior to breaking ground on your project visit the local building inspector and pull all the necessary permits. Pulling permits can take time so it is wise to get your building plans and cost estimates into the building inspector’s office as soon as possible. 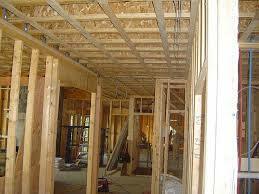 The type and number of building permits will vary with the type and scope of the home remodeling project. For a new home addition project expect to have to pull a construction permit, as well as electrical and plumbing permits. The building inspector may require the contractors to pull the permits since they are licensed to do the work. Also, if the septic system needs to be enlarged or changed you’ll also need a modified septic design completed and approved by the state and town. This process can take several months so plan accordingly. To conclude, by planning upfront, hiring the right home remodeling contractor, and pulling the necessary permits, you can mitigate the risks of a home remodeling nightmare dramatically. But more importantly, you’ll increase the odds of creating the home remodel you initially envisioned.